What makes Adelaide the Fibreglass Manufacturers Haven? Mark, Nigel and the team at Advanced Fibreglass Techniques have worked hard to ensure they are the respected and highly sought after Fibreglass repair and manufacturers of Adelaide. As the leading fibreglass marine and commercial repairers and manufacturers Mark and Nigel ensure their products and service are top quality and at competitive prices. 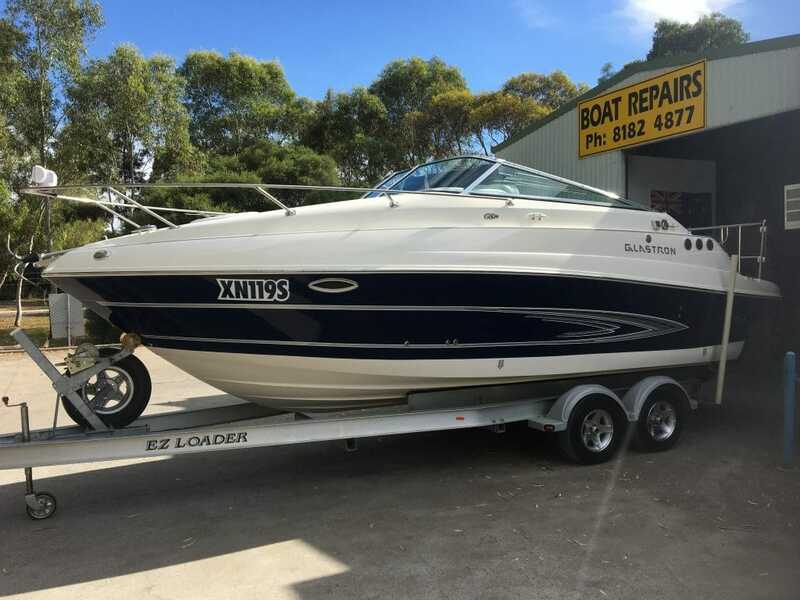 Based in Parafield Gardens, South Australia, Mark, Nigel and their team are qualified Boat Builders/Shipwrights providing a range of services to owners of marine craft, commercial and industrial fibreglass applications and a range of other services. The Advanced Fibreglass Techniques Team are able to provide a high quality standard across all services and they take pride in everything that we manufacture. So what is Fibreglass and how do we use it? Fibreglass constitutes a significant portion of the marine industry and has many commercial applications. Fibreglass consists of two component materials to produce a strong product. This product is then mixed with resin to create our products, parts and repairs. Due to its composition fibreglass is lighter than its comparative materials such as steel and timber and it is much more malleable. Meaning we can manufacture the parts and products you need regardless of the size, shape or application. Due to its composition, Fibreglass is also resistant to some chemicals, and has both electrical and thermal insulating properties. Fibreglass is often used as a substitute for steel caps in boots, because it doesn’t conduct electricity and is just as strong as steel. Mark, Nigel and the team can not only create products, parts and moulds, we can also manage the process from design of your product or mould through to completion and every step in between. As part of our process, our pattern makers, fabricators and production specialists work together to create your product to your requirements and troubleshoot any issues along the way. We can handle every need in our workshop and we don’t need to outsource any of the manufacturing processes, so your projects can be completed swiftly. We can handle small and large production runs and encourage you to give us a call or drop in to discuss your needs. Advanced Fibreglass Techniques take pride in being compliant with Occupational Health and Safety requirements so that we maintain a safe environment for our staff and customers who visit the workshop. We are qualified and have over four decades of combined experience in marine and commercial applications, making Advanced Fibreglass Techniques the team of choice. The Advanced Fibreglass Techniques facilities are modern and equipped to provide a professional product each and every time. As fibreglass manufacturers in the Adelaide area, we can provide our services to customers who attend our Parafield Gardens workshop or those who cannot come to us, we can come to you. We work with a range of materials, composites and resins to ensure our products are to the latest standards in manufacturing, quality and safety. Whether it’s repairing the hull of a boat, installing a new insulated cell in a truck or manufacturing moulds to your specifications, Advanced Fibreglass Techniques can do it all. We use the latest techniques to repair your watercraft, whether it be a small cosmetic repair or a structural modification. Contact Mark or Nigel today, on (08) 8182 4877 or drop in for a no obligation free quote.